Both have great covers, and great descriptions. I've been enchanted and now I want to learn what's going on in each. Awww Mack seems like one of those really good guys! I think I wanna read this just to get to know him! I love the synopsis of both of these books! Thanks for sharing! Both of these sound amazing, and I LOVE their covers! I hadn't heard of these books before, so thanks so much for introducing me to them! These both sound really good! Adding them to my TBR. Thanks for sharing! These both sound great and have fantastic covers! Thanks for sharing, Shane! Both of these sounds really good and I am really excited for If He Had Been With Me. Awesome picks. Thousand Words just sounds heart-breaking. I'm not sure I would be able to make it through. I've seen If... around a few times. Hope you enjoy them. These both sound super intense and sad! Can't wait to read reviews on these! Great picks. They both sound good. Those are new to me! Hope you enjoy them all! Great pick! Very important subject and I love Brown's writing. These both sound AWEsome! I am not sure why the Ashleigh is doing community service when Kaleb is the one who forwarded the picture to his baseball team. 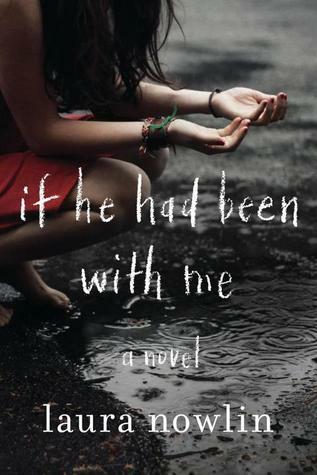 I love the cover of If He Had Been With Me. Both of these books sound great! And what did she get community service for? Her boyfriend forwarded it. Crazy. I'm not a big contemporary reader but If He Had Been With Me has me intrigued enough that I might just keep my eye out for it. Thanks for stopping by my WoW this week. These are both great picks, I'm really looking forward to reading both of them. :-) Thanks for sharing! 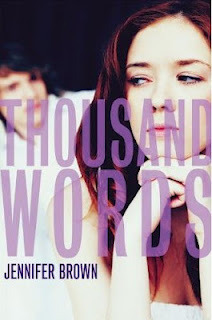 I have Thousand Words on my tbr. I just bought If He Had Been With Me and I can't wait to read it.